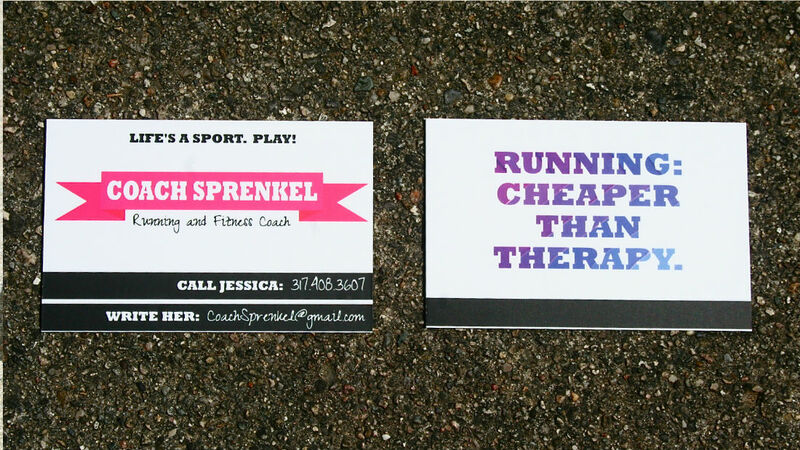 Coach Sprenkel - Paired Inc.
Jessica (Personal Trainer & Running Coach) first came to us when she moved cross-country leaving her standard base of clients behind. She wanted a way to spread the word about her business and gain more local clients in her new state of Texas. Working at a running store put her in front of lots of potential clients, but she didn’t have a way of presenting herself to them. 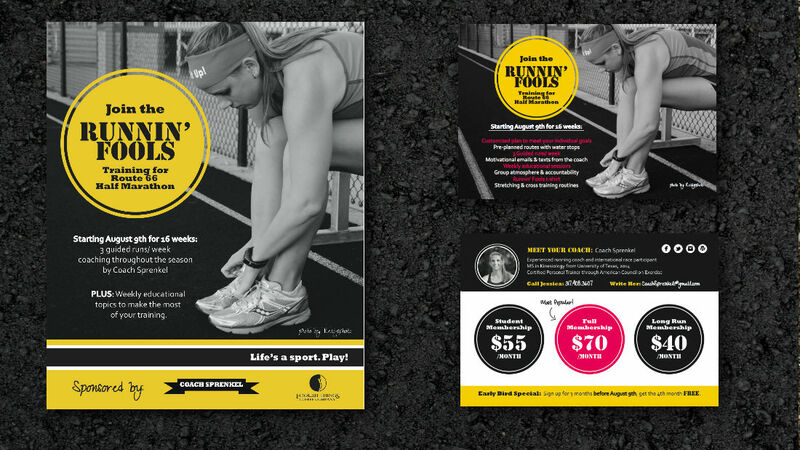 We paired with Jessica to create custom business cards for her to hand out to potential clients. We designed thick, high quality business cards with attention-grabbing motivational quotes. Our goal was to encourage potential clients to hold onto the card or even display it on their mirror or cork board. 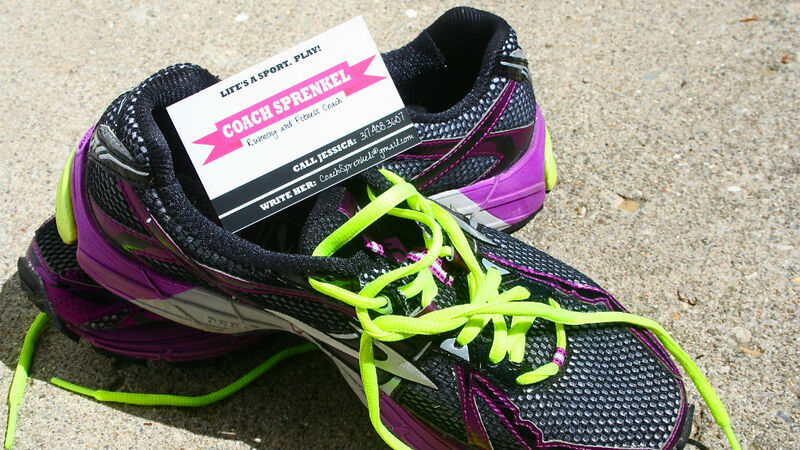 We went with a fun, bright batch of colors to convey Jessica’s coaching style and elicit excitement about exercising–inspiring them to take action by giving her a call. 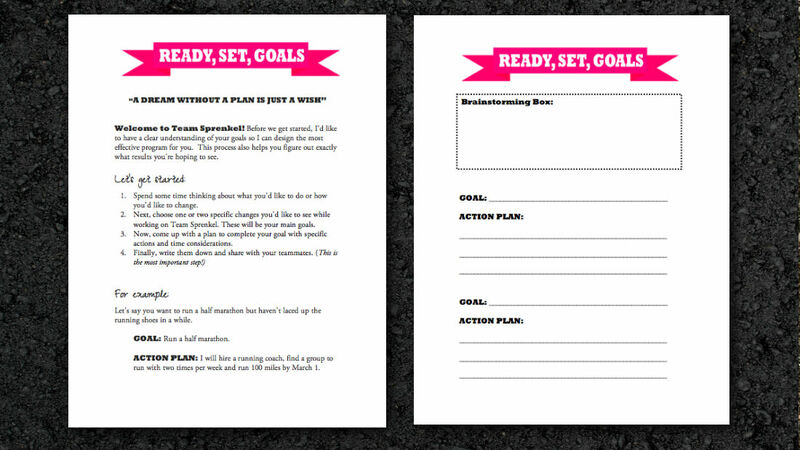 Jessica’s been growing her business over the past 6 months and getting ready to make another move. In the meantime, we’ve been working with her to design a portfolio of resources for her to use with her current clients, promote her business in Tulsa, and begin to lay the groundwork for opening up her own fitness studio. “Paired, Inc was such a good decision for me as a newbie entrepreneur. There are so many details that go into starting a company and I found a lot of relief knowing that Megan and JK were taking care of the marketing side. It allowed me to focus more on my clients and programs while knowing that soon I would have a product to make me feel more professional and legit. Megan’s creativity and open mindedness abounds – the product we came up with is something I am impressed with and proud to hand out!